The internet has transformed the way we shop. Now it’s easy to order small items online, and have them delivered direct to our homes. But there are some things that you should always buy in store. Let’s take a look at why you should always visit a showroom if you’re planning a kitchen remodel. This point might surprise you. We’re used to the huge variety available in online stores. But when it comes to kitchen or bathroom design, you will find more at the showroom. And unlike an online store, you can chat to the experts and ask them to order specialist items. This is especially true for custom cabinets for kitchens and bathrooms. It’s much more difficult to find cabinets which are made to your exact specifications. Contrary to popular opinion, you don’t always find the best prices online. Online stores can change their prices depending on how many times you visit their website, or what other customers are buying. But when you visit a showroom, you have a chance to get to know the staff. Some showrooms will have access to offcuts from custom cabinets or countertops. It’s always worth asking if they have remnants on offer. Speaking of the showroom staff… You will get a lot more help from real-life experts than online. 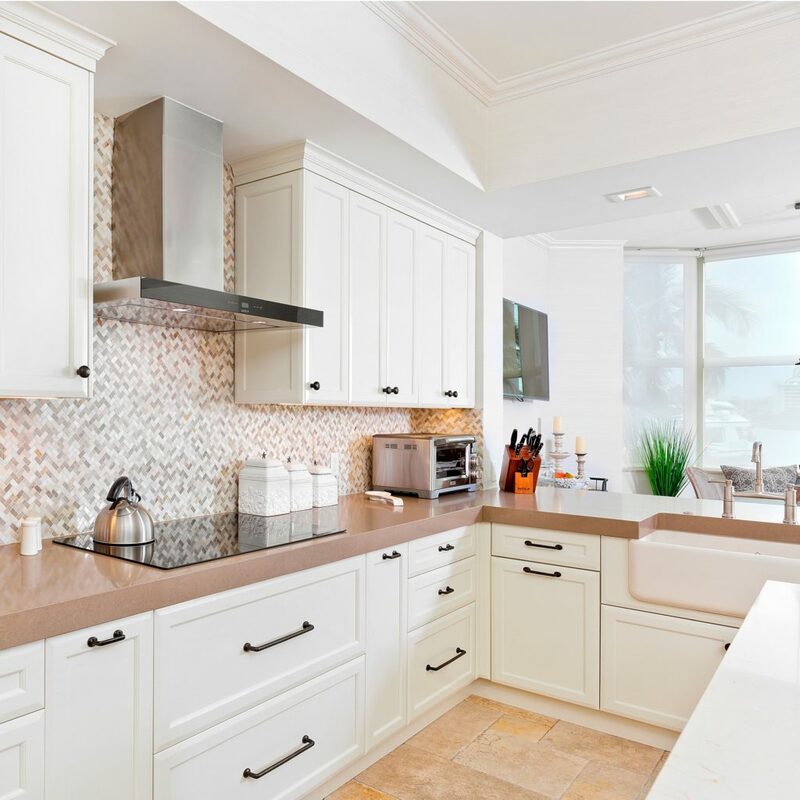 Look for showrooms which offer appointments with trained designers, like the Distinguished Kitchens & Baths showroom in Boca Raton. Have you ever ordered something online – and received a damaged, beaten-up package in the mail? One of the risks of online shopping is delivery. When you purchase kitchen cabinets from a showroom, you can rely on experienced, specialist delivery and packaging.